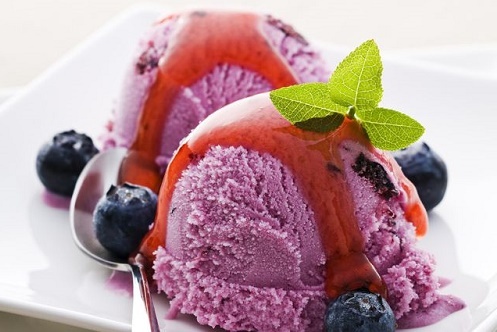 Purple-colored blueberry ice cream can be far more festive than the chocolate that’s everywhere. Blueberry ice cream, though, isn’t actually ice cream. It’s a blueberry-flavored custard. You make thick, blueberry syrup by mashing up the berries and heating them over a low flame in a saucepan. Mix it with custard and serve fresh.